If you have just started generating a monthly income and are faced with making a choice between credit and debit cards, you might wonder about the pros and cons of holding either of these cards. Both credit and debit cards have advantages and disadvantages; and ultimately, it is up to the card holder to make the best use of these cards. A credit card, as its name indicates, is all about credit. When you use your credit card to make purchases, you are not touching the money in your own bank account, but you are using money borrowed from the bank that has issued the credit card. Every month, the bank will send you a bill for the total amount of money you spent making purchases on your credit card. You can either pay your credit card bill in full or pay in part with interest on what you cannot pay. Credit is essential in case of emergencies; that’s when your credit card comes to your rescue. 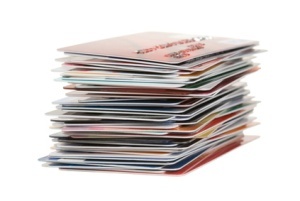 Your credit card also allows you to make large purchases and pay it off in chunks over a period of time. However, credit card holders need unlimited discipline; otherwise, they will end up spending more than they can pay off and will find themselves in credit card debt. Before applying for a credit card, you must learn everything about it and read what is written in fine print. For instance, credit cards come with an annual percentage rate or APR, which is the interest you will have to pay for using the credit supplied by the bank. You can get credit cards with low APRs, no annual fees, and zero percent interest on balance transfers. The biggest advantage of credit cards is the credit they offer; and if you, as a card holder, pay off your balance in full within the due date every month, stick to a monthly budget, and promise yourself that you will use your credit only in emergencies, you should be fine with a credit card. A debit card, on the other hand, allows you to withdraw funds from your savings account through ATM machines. You can also use your debit card to make purchases, and the amount you spend will be deducted from your bank savings account. The bank does not advance credit to its debit card holders. Debit cards are convenient, eliminating the need to write checks or carry large wads of cash. Besides, they put you in complete control over your finances. You won’t have to pay monthly bills as in the case of credit cards simply because you are using your own money whenever you purchase on a debit card. Debit cards, however, are not as safe as credit cards. If someone steals your debit card, they can clean out all the funds in your account. You might also not be able to use your debit card to make purchases in foreign countries; and of course, you cannot use your debit card to get urgently required credit.